In this Case Law Update, three recent Delaware Court cases are reviewed. Two cases focus on whether the deal value is fair value and the third focuses on matters discovered following approval of a merger and who has standing to sue and what remedy, if any, is available to the disgruntled plaintiffs. The first two cases also delve into the role of experts, inputs that are used in the DCF (and usually contested), and the role of board members overseeing the process, as well as the value of process itself discovering price. 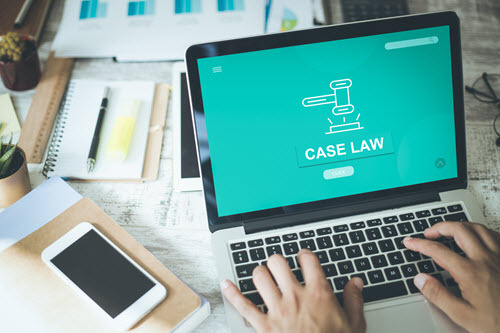 The third case provides valuable insight regarding what to do if important issues are missed during legal due diligence and what remedy if any is available to plaintiffs. This latter case may be especially helpful to professionals that assist smaller clients that may have forgotten to mention a few things. In this Case Law Update, three recent Delaware Court cases are reviewed. Two cases focus on whether the deal value is fair value and the third focuses on matters discovered following approval of a merger and who has standing to sue and what remedy, if any, is available to the disgruntled plaintiffs. The first two cases also delve into the role of experts, inputs that are used in the discounted cash flow (DCF) (and usually contested) and the role of board members overseeing the process, as well as the value of process itself discovering price. The third case, provides valuable insight regarding what to do if important issues are missed during legal due diligence and what remedy, if any, is available to plaintiffs. This latter case may be especially helpful to professionals assisting smaller clients that may have forgotten to mention a few things. A pdf of the cases discussed are available to readers. Issue: Whether the merger deal price was the indicator of fair value. Held: No. Despite Dell and DFC, two earlier Delaware Supreme Court cases that held the deal price is a strong indicator of fair value, that is not the rule. The Court indicated it did not reflect fair value. While the merger agreement provided for a thirty-five-day post-signing go-shop, that was rendered ineffective as a price discovery tool by a clutch of deal-protection measures. Not surprisingly, both parties proffered expert testimony regarding Norcraft’s fair value on a DCF basis. And, as we have come to expect in appraisal litigation, the experts’ DCF analyses yielded valuations that are miles apart. Neither expert walked the high road from start to finish during their respective DCF journeys. That is to say, both experts, at times, made choices in their analyses that were not supported by the evidence or not supported by “accepted financial principles” in order to support a desired outcome. I have therefore, borrowed the most credible components of each expert’s analysis to conduct my own DC valuation, in my best effort to obey our appraisal statute’s “command that the Court of Chancery undertake ‘independent’ assessment of fair value” when performing it mandated appraisal function. The court arrived at a $26.16 per share fair value conclusion. Facts: This is a statutory appraisal action that arises from a merger in March 12, 2015, whereby Fortune Brands acquired Norcraft Companies for $25.50 per share. Petitioners, Blue Blade Capital Opportunities, LLC and Blue Blade Capital Opportunities CI LLC were Norcraft shareholders on the merger’s effective date and sought a judicial determination of the fair value of their shares. But the single bidder focus here, while perhaps not amounting to a breach of fiduciary duty, did not provide a meaningful market check as would yield a reliable indication of fair value. First, there is no evidence that the board or Citi employed a single bidder approach for the sake of achieving a strategic advantage or maximizing value. Second, and more troubling, the board’s focus on only one bidder was tainted by the fact that Buller (who was conflicted) served as Norcraft’s lead negotiator from start to finish. The shambolic pre-signing process left Norcraft’s post-signing go-shop as the only meaningful opportunity to check the market. Unfortunately, Fortune extracted concessions from Norcraft that rendered the go-shop process equally ineffective as a price discovery tool. How to calculate the WACC. Issue: Whether the Chancery Court erred finding the Display Deal had an additive value of $2.57 per AOL share. Held: The Court agreed it erred in the calculation and revised the fair value of an AOL share on the merger date from $48.70 to $47.08. Facts: In June 2015, Verizon acquired a controlling interest in AOL. AOL shareholders filed an action seeking an appraisal of their shares and the matter proceeded to trial. On February 23, 2018, the Delaware Chancery Court issued a Memorandum Opinion in this appraisal action in which it determined that the fair value of one share of AOL stock was $48.70 as of the merger date, which exceeded the offer. In that Opinion, the Court noted that the Delaware Supreme Court had directed the trial courts to consider a transaction that results in fair market value as persuasive to a finding of statutory fair value. Nonetheless, the Chancery Court concluded that circumstances in the sale of AOL precluded reliance upon the merger price as indicative of fair value. As urged by the parties, the Chancery determined the value of an AOL share through a DCF analysis but expressed concern about certain figures upon which the Chancery Court relied to calculate the value of unconsummated deals that it found to be part of the operative reality of AOL. [i]n my experience, is rarely efficient or productive. It has become de rigueur in appraisal actions, however, and especially so with respect to appraisals relying upon financial determinations of value developed from the reports of partisan experts. No DCF analysis, used to calculate the “exact” value of a corporation, can be sufficiently rigorous that it will not permit a good-faith argument that the value should be otherwise. This, I think, substantiates the wisdom of reliance on deal price, where appropriate; it also may explain the current popularity of motions for reargument. Reargument, however, is properly reserved for occasions where the outcome of a court’s reasoning is affected by mistakes of fact or law. Where a motion seeks simply to urge the court to amend application of its discretion, reargument is not appropriate. This Court must resist the desire to achieve the “right” number in a financial analysis—a temptation particularly strong in this, an area not directly within its expertise—by revisiting such discretionary decisions in a way that encourages run-on litigation. Unlike revenge, justice is a dish that is best served warm, and the power of statutory interest further adds to the exigency. Nonetheless, this is that rare case where reargument must be granted. The Chancery Court added that it did so only because in the Memorandum Opinion, it found that two pending transactions—the “Display Deal” and the “Search Deal”—were part of the operative reality of AOL at the time of the transaction. At trial, the Petitioners “largely withdrew any reliance on their financial expert,” and the Chancery Court noted that it “principally relied, therefore, on the analysis of the respondent’s expert, Dr. Fischel”, who did not account for the value of the Display or Search Deals in his DCF. Here, the Chancery Court amended its analysis to include the accretive value of the Deals, as it calculated them. The parties, on reargument, urged the Chancery Court to reconsider the original calculation of the value of the Display Deal and the Search Deal, as well as the Perpetuity Growth Rate (the PGR) applied in the DCF. The Chancery Court found that the Display Deal value that it used in the overall valuation of AOL was based on an incorrect assumption of fact. Once corrected, it concluded that the accretive value of $2.57 per AOL share, which it attributed to the Display Deal in the Memorandum Opinion, had to be revised. Accordingly, in lieu of remanding the case for additional expert reports it revised the fair value of a share of AOL stock on the merger date from $48.70 to $47.08. QuickRead readers should read the case to see the adjustments made by the Chancery Court to arrive at the value and see the discussion regarding the growth rate, WACC, and sensitivity analysis. A copy of the initial and this decision are included here. Issues: (1) Whether to void the merger or award plaintiffs rescissory damages. (2) Whether plaintiffs have standing to assert claims in light of the merger. Held: (1) The validation of defective corporate acts is approved. As for Counts II, III, IV of the Complaint, all appear to proceed from the premise that one or more of the defendants unlawfully benefitted from, or converted to his own benefit, a greater percentage of the company’s equity in connection with the merger than he would have received if the defective corporate acts had not been validated. Because the defective corporate acts have been validated, these three claims necessarily fail. (2) It is well established under Delaware case law—Lewis v. Anderson and its progeny that, as a general matter, a merger extinguishes a plaintiff’s standing to maintain a derivative suit. This is because a derivative claim is property right owned by the nominal corporate defendant that flows to the acquiring corporation by operation of a merger. Delaware recognizes two circumstances where a merger would not extinguish a stockholder’s standing to maintain a derivative claim, but neither is present here. Facts: In 2009 DWR was delisted from NASDAQ and was approached by Wells Fargo, who informed DWR that it was about to lose its line of credit if it did not contribute another $10–15 million. Glenhill, a shareholder of DWR, was approached and Glenhill provided the private placement that made it the controlling shareholder. DWR underwent a restructuring process, that included a reverse stock split. In August 2011, Herman Miller expressed an interest in acquiring DWR; the preliminary total enterprise value was in the range of $25–30 million. This was not pursued, but the parties executed a non-disclosure agreement. DWR began experiencing a financial turnaround in 2012. In July 2014, Herman Miller, Inc. acquired Design Within Reach, Inc. (DWR or the Company), a retailer of modern furniture, for approximately $170 million in a third-party merger transaction. During the due diligence phase for the merger, the parties discovered that a greater number of options had been granted to twelve employees than was authorized under the Company’s 2009 Equity Incentive Award Plan. In response to this problem, the Company’s counsel recommended treating the options as bonuses, so that employees would receive the cash equivalent of what they would have received when they executed their options, as they were entitled to do, upon a change of control. After the merger closed, two former stockholders filed suit against Glenhill and the Company’s directors who oversaw its turnaround. Plaintiffs have never challenged the fairness of the merger consideration, which by all accounts was an outstanding result. Instead, plaintiffs’ core strategy has been to secure a larger portion of the merger consideration for themselves by challenging transactions that occurred before the merger. Specifically, plaintiffs maintained that they owned 60% of the Company’s common shares as a result of defects concerning the reverse stock splits and 2013 conversions; Herman Miller’s due diligence team missed these items. Herman Miller was sued, and the complaint was amended. Based on the discovery, the Company moved to ratify the validity of certain corporate acts of DWR. In August 2017, plaintiffs filed their fourth amended complaint seeking, among other things, rescissory damages in connection with the merger and breaches of fiduciary duty, aiding and abetting, and equitable fraud claims against Glenhill. In this post-trial decision, the court enters judgment in defendants’ favor on all of plaintiffs’ twelve claims for relief. Two rulings concerning two different categories of claims largely drive this result. The first category consists of claims relating to a 50-to-1 reverse stock split that the Company implemented in 2010 on both its common stock and its Series A preferred stock, which Glenhill had purchased in 2009. Unknown to anyone at the time, the reverse stock splits were implemented in a defective manner that had the effect of diluting the number of shares of common stock into which the Series A preferred stock could be converted by a factor of 2500-to-1, instead of the intended result of a 50-to-1 adjustment. This defect remained unknown in 2013, when the Series A preferred stock was converted into common stock, and in 2014, when the merger occurred. Over one year after the merger closed, plaintiffs amended their complaint after discovering the defect, adding Herman Miller as a party and asserting that the merger was void. This action prompted Herman Miller to ratify certain defective corporate acts under 8 Del. C. § 204 relating to the implementation of the reverse stock splits and the subsequent conversion of the Series A preferred stock, and to file a counterclaim asking the court to validate those acts under 8 Del. C. § 205. For the reasons explained below, all the equitable considerations identified in Section 205 overwhelmingly favor judicial validation, which the court grants. The second category consists of claims challenging various transactions through which some or all the Company’s board members or their affiliates received additional equity in the Company before the merger. All these claims are concededly derivative in nature and, thus, a threshold issue is whether plaintiffs’ standing to maintain these claims was extinguished because of the merger. Roberto H Castro, JD, MST, MBA, CVA, CPVA, CMEA, BCMHV, is an appraiser of closely held businesses, machinery and equipment, and Managing Member of Central Washington Appraisal, Economics & Forensics, LLC. He is also an attorney with a focus on tax, wills and trusts, business law, and succession planning with offices in Wenatchee and Chelan, WA. Mr. Castro is also Technical Editor of QuickRead and writes case law columns for The Value Examiner. Mr. Castro can be contacted at (509) 679-3668 or by e-mail to either rcastro@cwa-appraisal.co or rcastro@rcastrolaw.com.